Does Court’s Ruling Signal A Change In Thinking About Implied Consent Laws? 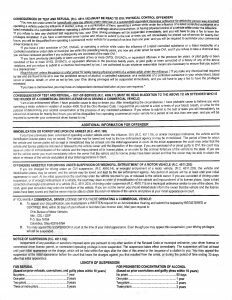 Anyone who has been charged with an OVI / DUI in Ohio has had the pleasure of listening to an officer read several paragraphs from the back of a form provided by the Ohio BMV. This often droll recitation is required by Ohio’s implied consent law, which says that anyone who operates a vehicle in the state implicitly consents to takes a blood/breath/urine test for drugs and/or alcohol if arrested for OVI. An implied consent law similar to Ohio’s was recently found to be unconstitutional by the Georgia Supreme Court. That recent case is Elliot v. Georgia. In that case, the Supreme Court of Georgia reviewed the state’s implied consent notice. 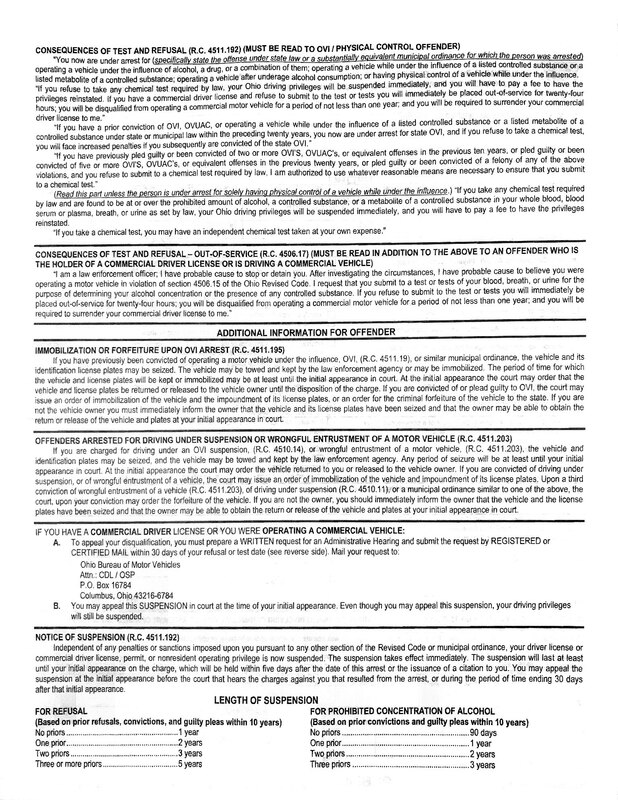 Georgia’s notice is very similar to Ohio’s in form, with one major difference: Georgia’s includes a sentence stating “Your refusal to submit to the required testing may be offered into evidence against you at trial.” It was this sentence which led to the Georgia Supreme Court evaluating their implied consent law. As part of their evaluation, the Court reviewed the history of case law in their state, as well as the evolution of their ten (yes, 10) different state constitutions. Based on this review, the Georgia Supreme Court held the provision allowing the prosecution to use an OVI defendant’s test refusal against them in court is unconstitutional. The Court ruled that using a defendant’s refusal as evidence against them violated the right against self-incrimination as provided by the Georgia State Constitution. The right against self-incrimination provided by the Fifth Amendment to the United States Constitution has been found to only apply to compelled oral or written testimony. The Georgia Constitution, however, extends this protection to also prohibit compelled actions, such as a breath test in an OVI/DUI case. Accordingly, the Court held using evidence of a refusal to test against a DUI defendant at trial would punish them for exercising their Constitutionally protected right against self-incrimination. Thus, the Court declared the statute unconstitutional. Ohio law regarding implied consent and using a person’s refusal as evidence is similar to Georgia’s. The warning read by the officer informs an OVI/DUI defendant of the consequences of refusing the submit to such a test. In Ohio, refusing to take a test on a first offense OVI automatically results in a one-year suspension of your driver’s license, while testing over the legal limit of .08 results in a 90-day suspension. This warning is required for the state’s taking of your license to be constitutional. The Ohio Supreme Court has held that evidence of an OVI/DUI defendant’s refusal to submit to a breathalyzer test doesn’t violate the right to self-incrimination protected by the Ohio Constitution. They have conceded, however, that the reason given for a refusal can play a role in this determination and if evidence of the refusal is admitted, it must be subject to the limiting jury instruction mentioned above. How the Georgia Supreme Court’s recent decision in Elliot will impact the future of implied consent laws remains to be seen. The complexities inherent in OVI/DUI law means that small changes can have large, unforeseen, ripple effects down the line. This is why it is so important to seek out experienced Ohio OVI/DUI lawyers who keep up to date on the latest developments in the area.